Win an AR-15 custom built to your specs! 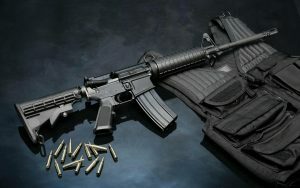 Haywood Republican Alliance is raffling off a custom-built AR-15. The winner will receive a rifle built to his or her specifications, up to $900 value. Tickets are $5 each, and only 250 will be sold. Get your tickets at the Haywood Republican Alliance office, or contact Eddie Cabe by phone at 828 648 9623 or via email to aecabe@bellsouth.net. Many people are not aware of the fact that very specific rules within the Republican Party prohibit you from exposing other Republicans that are dishonest, manipulate, and skirt or do not adhere to the principals of the Republican Party platform. 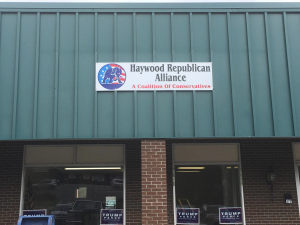 So today a group of Honest Republican conservatives formed the Haywood Republican Alliance. A more detailed mission statement will be forthcoming . We will be supporting and promoting conservative candidates and continue registering Republicans to vote. We have laid out a very aggressive events and activities schedule for the year with more activities being scheduled as we speak. A schedule will be posted shortly. We have created a gathering place for Honest Republican conservatives. We encourage the free exchange of ideas and speech. We welcome your comments and will do our best to keep you all updated.